Chia seeds are pretty incredible. They are just as small as poppy seeds but pack a whole lot of nutrition. Two tablespoons will give you 8 grams of fiber and 6 grams of protein for just 120 calories! You also get the minerals calcium, iron, zinc, and selenium. The most important reason to eat chia seeds is because they offer omega 3 fatty acids. Omega 3s are linked to hearth and brain health and aren't found in a ton of foods. 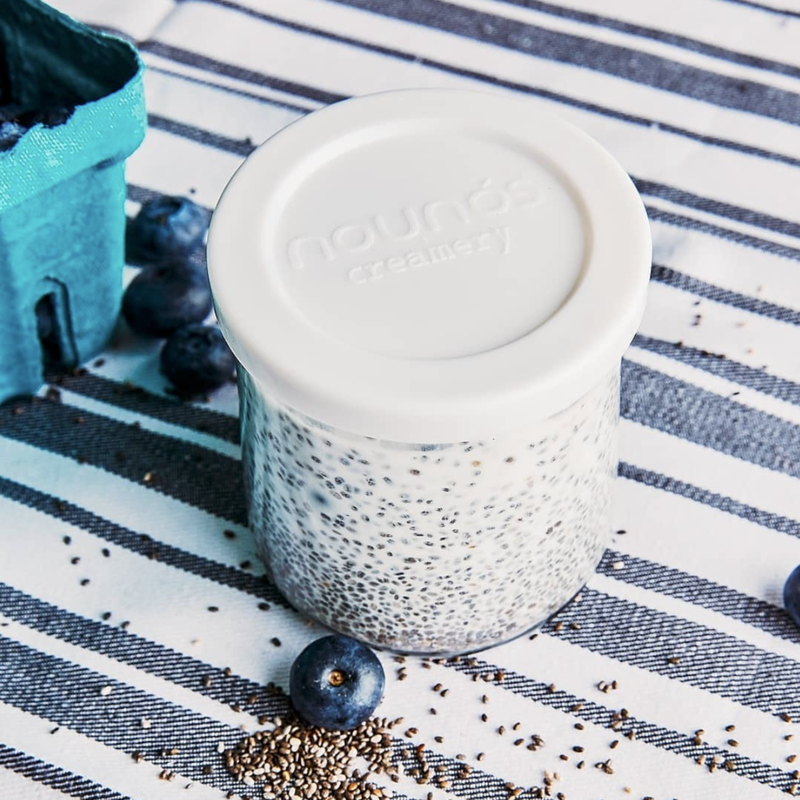 Try our blueberry chia pudding as a simple on-the-go snack that literally makes itself! 1) Combine chia seeds, almond milk, and yogurt in a jar or bowl. Stir well, then cover and refrigerate overnight. 2) Top with fresh berries in the morning and enjoy!